I want you to imagine a corrupt city, running rampant with crime, prostitution and murder, where you seemingly can’t escape to a safe haven. That is where author Ryan Graudin’s characters exist in the novel The Walled City. Instantly that premise snagged my attention and left me dying to get reading. The Walled City isn’t the kind of read that drags on and on and on (and on and on and on), instead it keeps you right on the edge of your seat anticipating what might happen next to our trio of main characters. 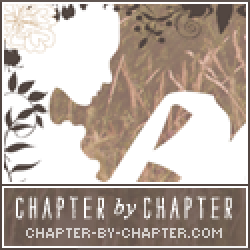 Who are our main characters? First we have Jin. A young girl who has been living inside of the Walled City and masquerading as a boy, living under the radar, doing small jobs in order to get by. Ever since their father sold her sister Mei Yee to a brothel, Jin has been searching for her lost sister and won’t stop until they are reunited. Mei Yee has spent the past two years being sold to a single customer, waiting for the day that she might be free from the Brotherhood, the brothel, and the man who owns her. Then there’s Dai who hides behind a dark past and has entered the Walled City searching for someone just like Jin to help him out with a job. But one job results in serious consequences, with each of these protagonists’ lives being intertwined and every action having a devastating reaction. At first I thought that The Walled City was set in some sort of dystopian China where all of humanity was left inside of a corrupt city or something. I was surprised to find about halfway through the novel that there was no way that this novel was a dystopia considering some of the characters’ thoughts that mentioned Western cultures and the like. It wasn’t until I reached the end of the novel that I discovered that The Walled City is actually based on a real-life city that was in China. First of all, that’s terrifying considering that the Walled City was the kind of place that seemed a hundred percent fictatious. Second of all, I wished that that fact had been made clear early on in the novel instead of leaving me wondering exactly what place in time the story was set in. That was my only real problem with the novel. I loved just about everything else in it. The characters, the plot, the subplots. I was on the edge of my seat and it only took me a day to get through the novel, put it down and just think ‘Wow, this was a really kickass book.’ I do feel like there’s a bit of everything for everyone who decides to pick up the novel. It has a badass male character who is not only gorgeous but also a tragic hero. There’s a tomboyish girl who has sacrificed everything she has for family and we have her beautiful sister who slowly learns how to become the strong woman her sister believes her to be. Personally, I was in love with Mei Yee’s character. I haven’t ready many novels with prostitution as a leading theme and haven’t had any where the main character is a prostitute herself. Mei Yee is a character who I could sympathize with and cheer on. She’s a perfect example of what a strong female character should be. She’s like Mulan minus the warrior garb and ignoring the prostitute bit. The Walled City kept me turning pages like crazy. I’m a big fan of novels that can keep me addicted and this was definitely one of those. Chapters alternated between characters and I admit, I was racing to get to either Dai or Mei Yee’s chapters (loved Jin but parts of her story weren’t as exciting as the other two characters involved). The Walled City is the perfect mix of action, suspense and adventure. My only warning for any readers would be that there are themes in the novel that include sexual assault and that they should be wary of that. Otherwise, I would recommend this novel to any readers that are big fans of novels that will keep them busy and to any fans of non-stop action. 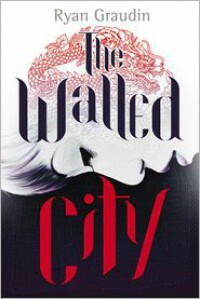 Any readers who want a novel that will tear out their heart should also pick up The Walled City.